First of all, let this be a warning to you. I am crazy about tennis. So, given that it’s currently Wimbledon, I decided to head down to the All England Lawn Tennis Club and see if I could get in. Last Monday I decided to go after work like I did last year and see if I could catch the last match of the day. Well I picked the worst day didn’t I. Manic Monday. Along with the rest of the thousands in the queue, we were all turned away. So determined to catch at least one day of tennis, I decided to come back REALLY early on the Friday morning to try and get in. And get in, I bloody well did. As you can tell from my Insta Stories, I was not impressed at waking up so early but it was SO worth it. Yep. 100% worth the 5.30am wake up. By 10am I was in the grounds, not just with a grounds pass but with a number one court ticket! I couldn’t believe it. I’d got really lucky and number one court had the Heather Watson doubles match on so it was perfect. First of all though was to do the walking around the entire site which is so much smaller than on TV. 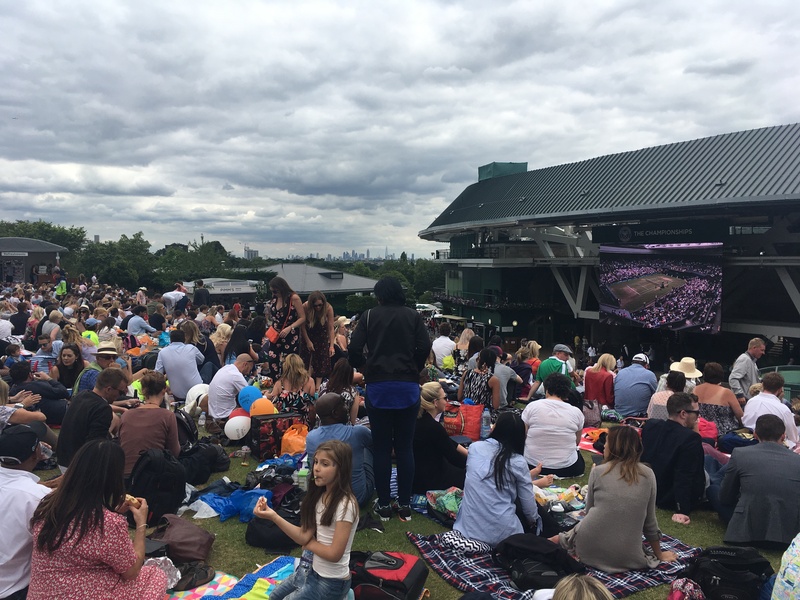 And then it was time to get myself a spot on Henman Hill in time for the Cillic match followed by everyone’s favourite Federer. I didn’t get to see all of the Federer match though as it was time to see the Heather Watson doubles. And man it made the money worth it alone for the ticket. It went to three sets and the tie break in the second had us all with our heads in our hands. By the time I next looked at the clock, it was half eight in the evening! I had a quick trip to the shop before I left (this place is like Disneyland with all the shops) and then headed out with a bit of a heavy heart. 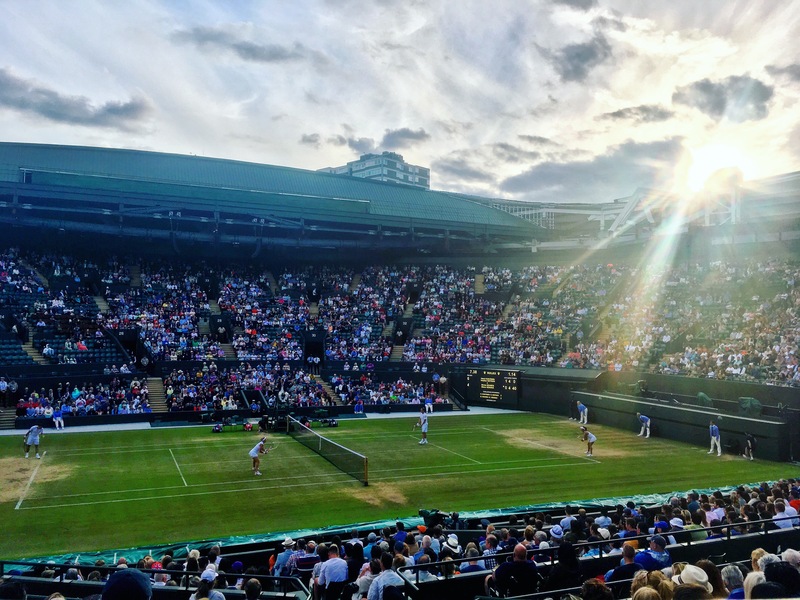 I absolutely adore coming to Wimbledon and always feel honoured to be there. 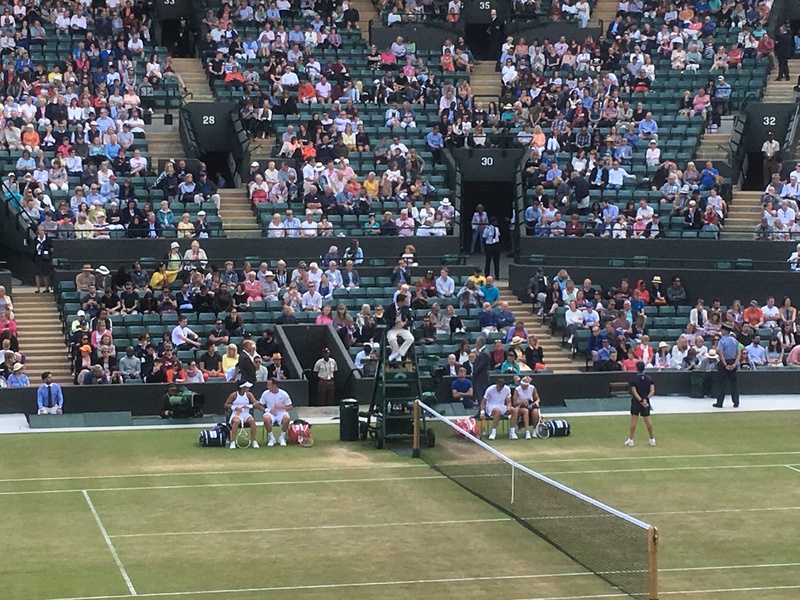 Until next time Wimbledon – I get the feeling i’ll need to save up!